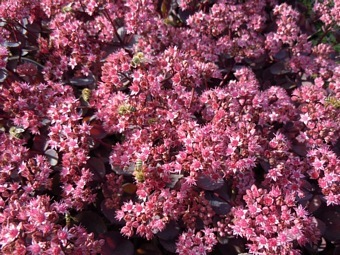 A taller Sedum to give late Summer colour to the garden. 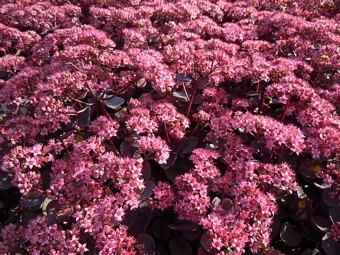 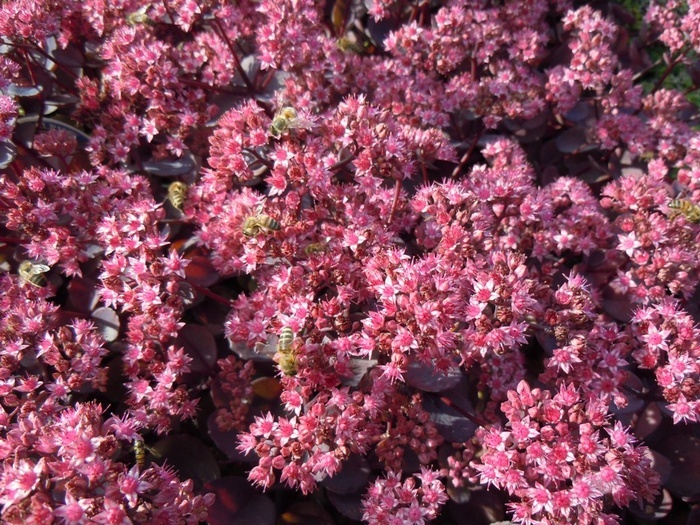 Heads of dusky pink flowers are held above deep purple succulent leaves forming a shrublet, height 25cm. 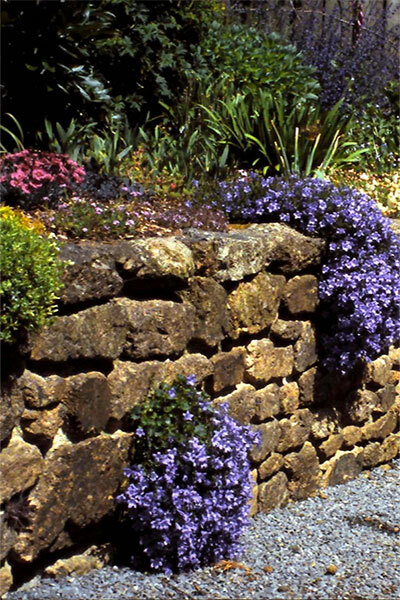 Plant in a sunny border, rockery or in pots. 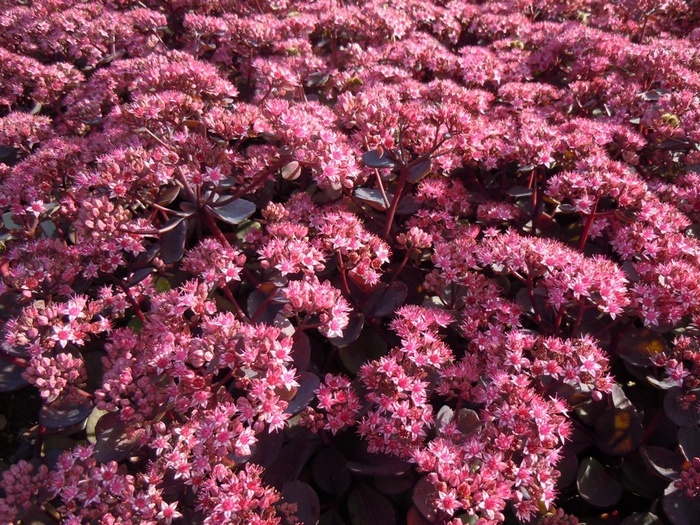 Very attractive to bees and butterflies.